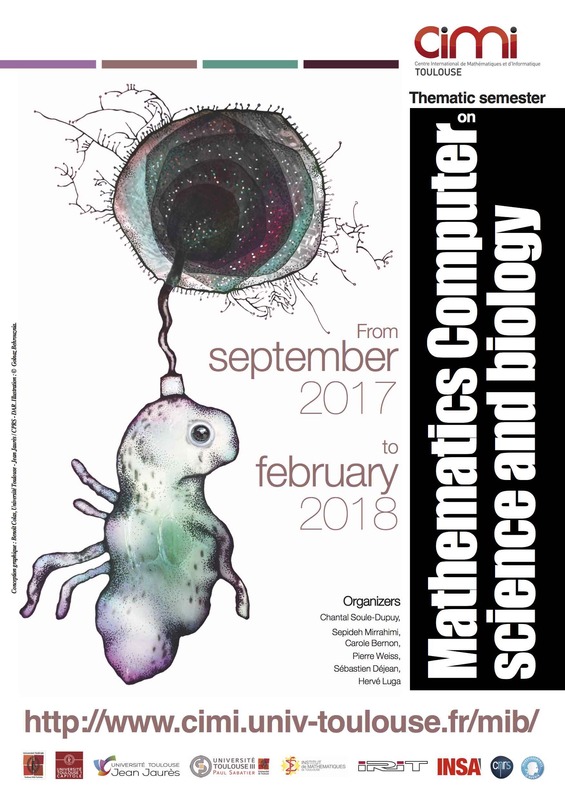 Computer Science and mathematics proposes paradigms which are nowadays fully integrated in life science reseach. Cross fertilization beween disciplines offers new opportunities and allows to explore new research paths. This thematic semester, proposed by CIMI, will explore several aspects of these relationships. This thematic semester is proposed by IRIT and IMT in coordination with other local actors (INSERM, INRA, ITAV, Oncopole, ...). It is split into two major axes: data science and modeling. The semester takes place from the 18th of September 2017 to the 15th of February 2018. For more informations on the events (program, registration, organizers,...) please look at the dedicated page.